Located in Concord, New Hampshire, NHTI, Concord’s Community College offers more than 80 academic programs, including associate degrees and professional certificates in accounting, business, computer programming, education, engineering and more. With a current enrollment of nearly 6,000 day, evening and weekend credit and noncredit students, the community college aims to prepare students for self-sustaining careers or for transfer to four-year colleges and universities across the country. To support the scholarly research of both students and faculty, the NHTI-Concord Library subscribes to several databases and maintains a collection of approximately 260 print periodicals, 71,000 physical books, and 70,000 e-books. In August 2016, in response to an increasing shift to online resources, the library began subscribing to Flipster®, EBSCO’s digital magazine newsstand offering online access to more than 1,300 titles. After only a few months of marketing Flipster to faculty and students, the NHTI-Concord Library staff has received positive feedback, and initial usage statistics have revealed a steady increase in adoption. 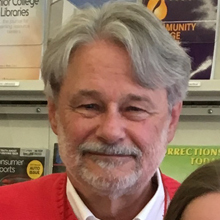 A desire to better familiarize faculty with online tools prompted NHTI Library Director Stephen Ambra to introduce additional online resources that are easy for faculty to use and integrate into coursework. Sarah Hebert, Head of User Services for the NHTI Library, agreed. She said the growing trend of digital resources coupled with the decline of print periodicals helped drive the library’s decision to offer Flipster digital magazines. “Print periodicals could be obsolete in 10 years, so it's better for us to start migrating to online platforms now than it is to wait,” Hebert explained. 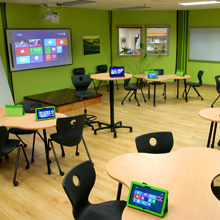 In addition, the NHTI Library houses an innovative instructional lab furnished with Microsoft Office Surface tablets. To experience a better return on this investment, the library needed more versatile resources that could be easily accessed by mobile devices. As the NHTI Library compared digital magazine vendors, it was clear that Flipster was the best fit for the college. Unlike some competing vendors, Flipster does not require institutions to purchase print magazines in order to subscribe to the digital versions. That alone has helped the library save money. In addition to offering flexible subscription options, Flipster provides the NHTI Library with an intuitive platform that has proven easy to use for faculty, on-campus students and distance learners. The NHTI Library officially launched Flipster to faculty and students at the start of the 2016-2017 academic year. NHTI currently subscribes to 35 magazines including both academic and leisure reading titles such as Developing Leaders, Discover, Inc., The New Yorker, Popular Science, Yoga Journal and more. To promote Flipster to end users, the NHTI Library implemented several marketing strategies. First, the library announced the new tool at mandatory faculty meetings held at the beginning of the semester. The library routinely encourages professors to incorporate Flipster content into their course reading lists. To pique student interest, the library displayed table tents near desktop computers and set up a visual kiosk featuring a slideshow about the service. Finally, the library website features a carousel of Flipster magazine titles, prompting both students and faculty to use the service. Although NHTI faculty and students are still learning about Flipster, Ambra has been encouraged by the steady increase in use. “There’s a dramatic difference between the usage statistics for Flipster compared to the print versions,” he said, adding that he will likely add titles to his Flipster subscription as more become available. Hebert reiterates how important resources such as Flipster are for online and distance learners. Library leaders expect to see a continuing increase in magazine use as faculty members get acclimated with the new resource and start assigning class readings that require access to Flipster digital magazines.